You are here: Home / Investors / Technicals / Can Comtech (CMTL) Keep the Earnings Surprise Streak Alive? 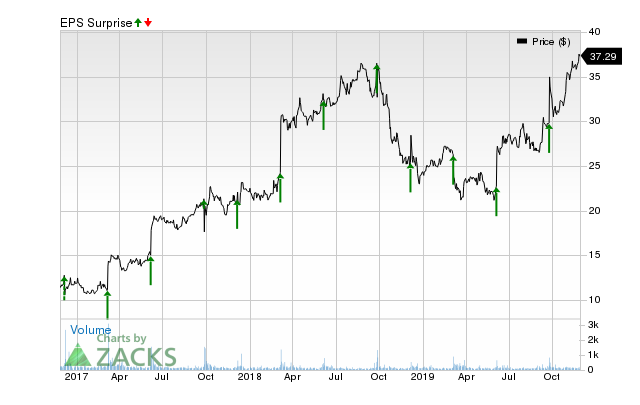 Can Comtech (CMTL) Keep the Earnings Surprise Streak Alive? Have you been searching for a stock that might be well-positioned to maintain its earnings-beat streak in its upcoming report? It is worth considering Comtech Telecommunications (CMTL), which belongs to the Zacks Wireless Equipment industry. This communications company has seen a nice streak of beating earnings estimates, especially when looking at the previous two reports. The average surprise for the last two quarters was 204.55%. For the last reported quarter, Comtech came out with earnings of $0.34 per share versus the Zacks Consensus Estimate of $0.11 per share, representing a surprise of 209.09%. For the previous quarter, the company was expected to post earnings of $0.07 per share and it actually produced earnings of $0.07 per share, delivering a surprise of 200%. For Comtech, estimates have been trending higher, thanks in part to this earnings surprise history. And when you look at the stock’s positive Zacks Earnings ESP (Expected Surprise Prediction), it’s a great indicator of a future earnings beat, especially when combined with its solid Zacks Rank. Comtech currently has an Earnings ESP of +4%, which suggests that analysts have recently become bullish on the company’s earnings prospects. This positive Earnings ESP when combined with the stock’s Zacks Rank #3 (Hold) indicates that another beat is possibly around the corner. We expect the company’s next earnings report to be released on September 26, 2018.